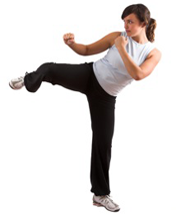 The East Madison Martial Arts Group and The Samaritan Counseling Center is offering a self-defense class. Instructor:Dr. Dan Feaster is a third degree black and has a teaching certificate in Modern Tae Kwon Do and Jeet Kune Do Conceptual training. Dan is also a psychotherapist, and the Executive Director at the Samaritan Counseling Center. If you suffer from Post Traumatic Stress Disorder (PTSD) or have suffered from abuse or trauma please talk to Dan ahead of time so he can properly assess your needs and respond appropriately. Dr. Dan Feaster is professionally trained to incorporate methods found to be successful in helping individuals that have been victims of violence and trauma. Location: Samaritan Counseling Center located in the Water Tower Place at 5900 Monona Drive, Monona WI. Fee: The fee is $25 for the month which is the two meetings, or $35 for a couple/family. Registration: Send a $25 check payable to the Samaritan Counseling Center to 5900 Monona Drive Suite 100, Monona WI, 53716. Include your name, address, and telephone number. Must be 18 years of age unless accompanied by an adult with prior approval from instructor. Come in comfortable clothing and tennis shoes that you can move in. For more information or to register contact Dr. Dan Feaster, at 608-663-0763 ext. 200.